Twitter plays a major role in any social media marketing campaign, and there are many tools out there that help you make the most of it. Here are just three tools that will prove very useful for your Twitter marketing strategy. 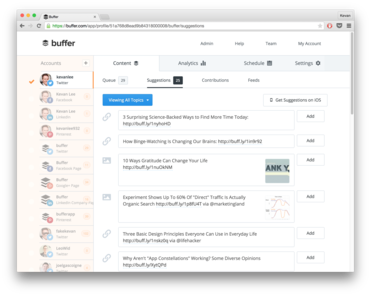 Buffer is a social media management program that allows you to control all of your social accounts from one central dashboard. You can use it to post to several social media platforms at once, and you can also use it to pre-schedule your tweets. If you want to spread out your tweets over the course of the day but do not have the time to spend on doing that, you can schedule all of your day’s or week’s postings at once. You can use it for free, though there are also paid options. Followerwonk is a tool that helps you analyze your followers, which is important if you want to increase conversions. You can find out what their interests are, break them down by geographical location, and discover at what times they are most active on Twitter. Use this information to decide what and when to post or schedule your posts. 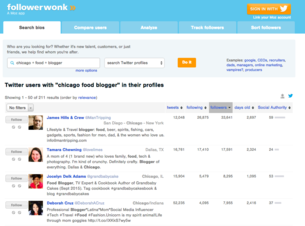 You can also use Followerwonk to research competitors and discover influencers. 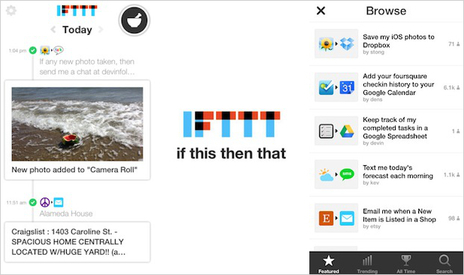 IFTT is a great little tool, and it stands for “If This, Then That.” You can connect a number of applications and then create “recipes.” For example, one recipe would be that if you post an image to Instagram, IFTT will automatically tweet out that image on your Twitter account. You can create an unlimited amount of recipes, and this will save you a lot of time. The right tools can make your job easier. These are just a few to simplify your life by saving you time and optimizing your Twitter marketing efforts. Stay tuned for more tools and tricks to improve and simplify your marketing efforts.